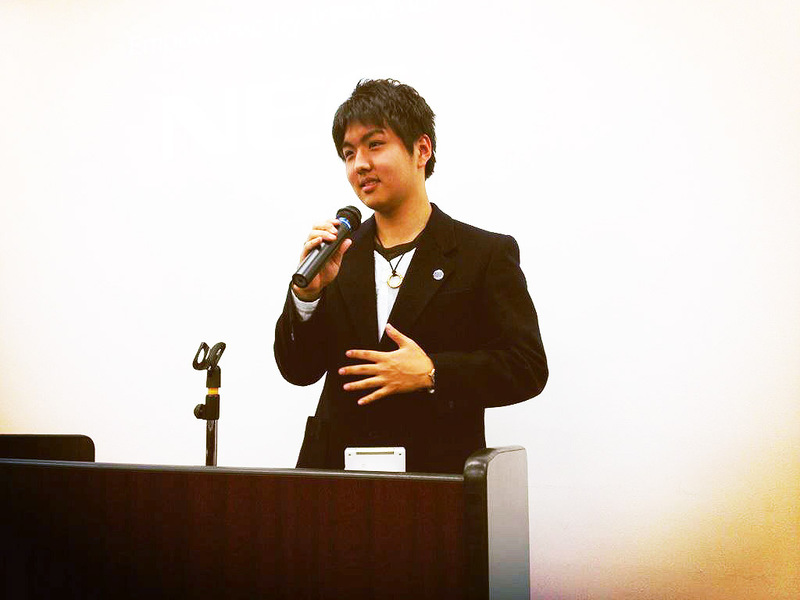 Hikaru Tomura created his own company in Silicon Valley when he was 20, in December 2014. The business, which marked the third year this year, has been growing steadily in Silicon Valley, where a lot of companies are constantly being born and dying. He is a young venture company entrepreneur who now leads 20 employees from multiple countries at the age of 23. Tomura, who grew up with parents running a manufacturing business in Sakai City, Osaka, has seen the difficult circumstances of Japanese companies overwhelmed by the cost competitiveness of Chinese and Southeast Asian companies since he was small. When he started to raise global awareness of the need for Japan to make profits through foreign investment, he met a professor from Stanford University visiting Japan at Osaka Innovation Hub. Strongly inspired by the professor’s exciting stories about Silicon Valley, he immediately left for the US after high school graduation. This action led to a big chance for him, an encounter with President Yamamoto of ChatWork. He learned how to do business from Mr. Yamamoto, while honing on-the-job experience as a researcher. To realize his passion to do business that helps society, he created the matching site Silivalleyship, which connects international students who want to work as interns with companies that can accept them. Two months later, he established the media project HACK JPN, which offers core information to large companies located in Silicon Valley. He focused on two keywords, education and information, which he believes are vital to grow in the global market. He scarcely does sales activities, and says the number of customers has been increasing every month through word of mouth alone. He gains a large following by disseminating his well-thought-out ideas about what personnel and information companies really want. It is actually not so easy to earn support from customers and continue to offer successful services, though it sounds like an obvious strategy. Especially, it is imperative to offer high-valued and irreplaceable services when selling qualitative information in Silicon Valley, where things are always drastically changing. To achieve this, he continues to improve information-processing and editing abilities on an organizational level. He learned from President Yamamoto of ChatWork that it is important to create a business system that is not easily imitated. The venture company entrepreneur, who is 23, hopes he will come back to Japan and create a business that can contribute to Japan in the future. We can’t wait for the day when his challenge in Silicon Valley bears fruit in Japan.